Beloved masters, everything in the Universe is endowed with a consciousness of its own kind and on its own plane of perception. Remember, ALL Creation–the Omniverse at all levels–is Cosmic Energy, which was sent forth from the Heart-Core of the Supreme Creator. This Energy is composed of vibrational frequencies of infinite variations, which interpenetrate with each other, and yet are separated from each other by the variance in Light frequency patterns. The Light/Energy of the Creator contains all the components of Creation, and these innumerable Seeded Patterns of Light make up the complexity of the many levels of material manifestation. The terms used to describe the multiple levels of Creation, such as“Dimensions and Sub-Dimensions,” were established to bring clarity and understanding of the very complex “nature of the reality” in which you all exist. As most of you are aware, each Dimension within your earthly etheric environment has seven sub-levels. FIRST DIMENSION * MINERAL KINGDOM: First Dimension and lower sub-levels of Second Dimension: The Mineral and Vegetable Kingdoms are ruled strictly by instinct, and they are infused with God Light/Life via the Devic and Elemental Kingdoms. The First-Dimensional environment is the world of the elements, the building blocks of the material world from the sub-atomic elements to the soil, rocks and water that make up the body of the Earth. This is the foundation for the manifestation of all plant life, and home of the lowest level of the Elemental Kingdom whose mission it is to relay from the sun the life-giving elements or nourishment for all of the mineral and plant kingdoms. Under the guidance of the Elemental Kingdom, the Plant Kingdom also began to experience an instinctual desire to reach for the sunlight and bask in the warmth of its radiance. SECOND DIMENSION * FLORA & FAUNA * PLANT & ANIMAL KINGDOM: The mid-Second-Dimensional level is where the Animal Kingdom materialized and a sub-level of consciousness began. Originally, the Animal Kingdom subsisted and received sustenance from plant life—it was never intended that they should become carnivorous. Basic feelings and emotions began to be displayed within the Second-Dimensional environment as the Animal Kingdom evolved and began to experience primal fear, anger and instinctual love or compatibility with a strong desire for companionship. The Animal Kingdom is strongly influenced by inborn instinct. The animals’ Sparks come from and return to a Group Soul in between each incarnation. THIRD DIMENSION: Since humanity’s fall in consciousness many thousand years ago, the Earth and its physical environment have been composed of Third–/Fourth–Dimensional components. The Third Dimension consists of length, breadth and depth of space. The Sentient Beings of this Dimension are the more evolved Animal Kingdom (group consciousness) and Human Beings, which have individualized Soul-consciousness. THIRD KINGDOM / THIRD DIMENSION: * FIRST THREE SUB-PLANES * ANIMAL / NATURE KINGDOM: Higher-conscious species of Animal Kingdom—instinctual /sub-conscious. FIRST THREE LEVELS OF THE THIRD DIMENSION: Animals who are gradually evolving into a higher species, and who have developed a limited sentient intelligence, are within this range of intelligence: such as Primates (Apes and Monkeys), Elephants, Horses, Dogs and Cats. In some future stage of the “Ascension process,” they will be “ensouled,” and will be allotted an individualized I AM consciousness. There are no longer any young or early mature Souls being incarnated on the Earth Plane. Only “mature and old Souls” who have had a vast number of incarnational experiences throughout this Universe, and quite possibly in other Universes as well, are incarnating on Earth now. THIRD DIMENSION * SUB-PLANES FOUR THROUGH SEVEN * HUMAN KINGDOM:The Third-Dimensional realm of material expression is more mentally focused, with a strong desire to create, conquer and to control nature. It is the lowest level of humankind’s experiential existence. A basic, instinctual-survival nature began to develop with a gradual, limited consciousness of self, “I am separate and different from you.”Human Beings began to emerge from a herd-state of consciousness, where there were seldom any unique or individualized thoughts. Most knowledge came forth from the group instinctual nature and basic concepts handed down from the elders. FOURTH KINGDOM / FOURTH-DIMENSIONAL HUMAN KINGDOM: Sub-conscious and conscious awareness. In the Fourth Dimension a conscious awareness of the “NOW” moment is added to length, breadth and depth of space. The Fourth Dimension is the realm of emotions, Maya/illusion—the Astral Plane. Since it is the beginning stage of higher frequency patterns, time is more fluid, and the laws of time and space begin to change. It is sometimes called the Etheric Realm. You must pass through the mass consciousness belief structure, which is mostly comprised of a conglomeration of inharmonious Third-/Fourth-Dimensional vibrations. It is your responsibility to clear or neutralize your personal discordant vibrational frequencies in order to traverse the seven sub-levels of the Fourth-Dimensional environment, and to tap into an awareness of your “I AM” within the Fifth-Dimensional environment. FOURTH KINGDOM * SUB-PLANES ONE THROUGH THREE: HUMAN/HUMAN KINGDOM: Human Beings within this stage of evolvement are still using some of their animal instinctual nature along with the sub-conscious / conscious human nature. Sub-planes four through seven: the beginning of the development of a human/Spiritual nature. Whales and Dolphins are a special, unique species which does not fit within any of the evolutionary profiles that we are presenting to you for your greater understanding. They are considered to be the most spiritually and intellectually advanced species on Earth. As the Earth was created for human inhabitation, these wondrous Beings of Light were sent forth from far-distant Star Systems as “Keepers of the Divine consciousness for the human species.” They are the recorders of the en-Lighten-ed, and also the diminished consciousness of all life forms from the beginning of this Sub-Universal experience—not only in this realm, but also in many other realms within this Sub-Universe. They embody the recorded history of Earth, all planets, solar systems and galaxies, and they constantly bring forth reverberating frequencies of Light and advanced information. Wisdom teachings of the past from some of the en-Lighten-ed conveyers of Dolphin and Whale wisdom have brought forth much information regarding these powerful servers of the Light. The Dolphins and Whales facilitate the weaving of energy matrices of crystalline consciousness throughout the planet. This allows humans who are vibrationally receptive and spiritually ready to embody the deeper infusions of pure love throughout their cellular structure, and to experience deeper, more refined levels of telepathic communication. They represent all Beings on the Earth, and their mission and their glory are to hold the entire Earth in a liquid Auric Field of greater love. They send the tones of love through the waters, and deep into the Earth, as well as to all humanity, in order to keep the evolution of consciousness on the Earth moving according to the greater plan. They are not as they appear to be in form. They are great, magnificent Beings whom we admire, and if we are receptive, we will feel their loving energy as they continually patrol the oceans spreading our Father/Mother God’s frequencies of love, harmony and grace. 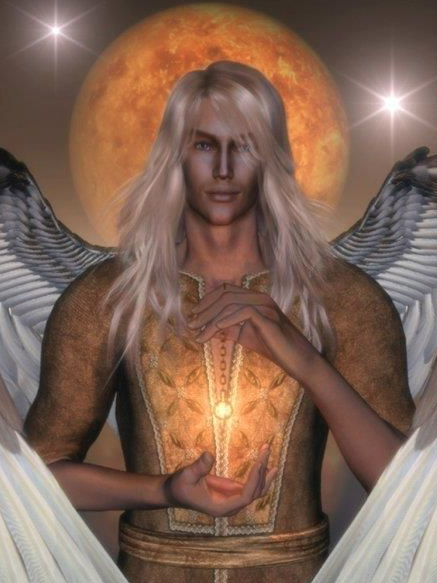 FIFTH KINGDOM: FIFTH-DIMENSIONAL SPIRITUAL/HUMAN NATURE * FIRST SUB-PLANE OF THE FIFTH DIMENSION: Integration of all Third-/Fourth-Dimensional Soul Fragments has been accomplished. Therefore, the Soul-infused Personality is released from the Wheel of Karma. Gradual development of conscious / Superconscious / intuitive awareness —the beginning phase of SACRED-TRIADAL CONSCIOUSNESS. THIRD DIMENSION: FROM 3,000 TO 3,999 WATTS OF GOD-SEED ATOM LIGHT POWER. FROM LOWEST LEVELS TO HIGHEST: SURVIVAL INSTINCT * FEAR * ANGER * VENGEFUL * HATE * DESPISING * SHAME * GUILT * DENYING * UNCARING * APATHY * STUBBORN * MISERABLE * INDIFFERENT * PERMITTING * ENABLING * HERD STATE * CONFUSED * RIGID THINKING PROCESS * FEARFUL OF CHANGE * COMPLACENT * FEARFUL OF THE FORCES OF NATURE AND THE ELEMENTS. FOURTH DIMENSION: FROM 4,000 TO 4,999 WATTS OF GOD-SEED LIGHT POWER. FIRST THROUGH THIRD SUB-LEVELS: MISERABLE * SELF-SERVING * CONFRONTATIONAL * CRAVING * BLAME * DESPAIR * ANXIETY * LETHARGIC * HUMILIATION * HOPELESS * GRIEF * DEMANDING * WITHDRAWAL * DESTRUCTIVE * JUDGMENTAL * STUBBORN * INFATUATION *AUTHORITATIVE * DOGMATIC * EXTREME * FRIVOLOUS * VAIN * SEEK GLAMOUR * POSSESSIVE * BOREDOM * MATERIALISTIC * STRONG BELIEF IN “GOOD LUCK,” FATE AND PUNISHMENT * WILLING TO GO WITH THE FLOW * CAUGHT UP IN “MASS CONSCIOUSNESS BELIEF SYSTEM” * “I, ME, MY” FOCUS. Most of you who have followed our teachings are aware that you must clear 51% of your negative frequency patterns and attune to your Soul Song to at least a portion of the lower sub-level frequencies of the Fifth Dimension in order to begin to receive the Adamantine Particles of Creator Light. In doing so, you gain the ability to breathe in this Essence of rarified Light containing the refined vibrational frequencies of the higher realms. You, while in your physical vessel, are being given an opportunity to incorporate the Divine Essence of the New Age, which is permeating the Earth at this time. There is no firm demarcation between Dimensions, for they ebb and flow in a wave pattern and interpenetrate each other to a certain degree. Much of humanity is now resonating to the frequencies of the higher, more harmonious frequencies of the Third Dimension, while tapping into and integrating various levels of the Fourth Dimension. Many dedicated Souls are beginning to access some of the frequency patterns of the lower sub-levels of the Fifth Dimension, and there are even some more advanced Souls who are integrating small amounts of Sixth-Dimensional frequency patterns (and even higher) via the Cities of Light. Beloveds, we know some of the concepts we relay to you can be very confusing. However, as you expand in consciousness and wisdom, your Sacred Mind will open to the well-spring of knowledge you have in reserve, and you will remember and understand. I am with you always.